Learn how to build touch surfaces sensitive to load variations from a few grams to more than 100 kg depending on the sensitive area size. Combining our volume conductive papers 1k and 100k, you will obtain variable resistors ranging from of a few kOhms to above the MegaOhm. Follow these Steps build your first eco-friendly resistor and learn how to customize these concepts. 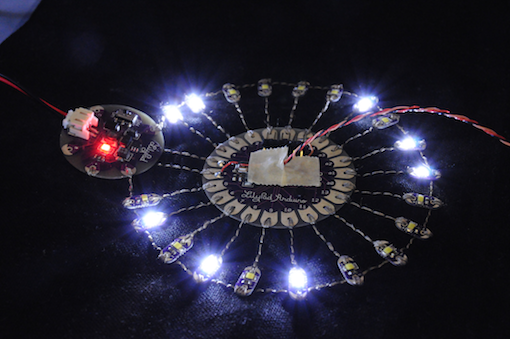 PLK Fabrication Kits provide insulation kraft paper adhesives to be used to build your sensor skin. This layer should be slightly larger than your expected sensitive surface, as it will be folded on the side to also serve as spacer and laminator. => Draw you design onto the design cardboard and add (or include) a few mm borders area as shown below. 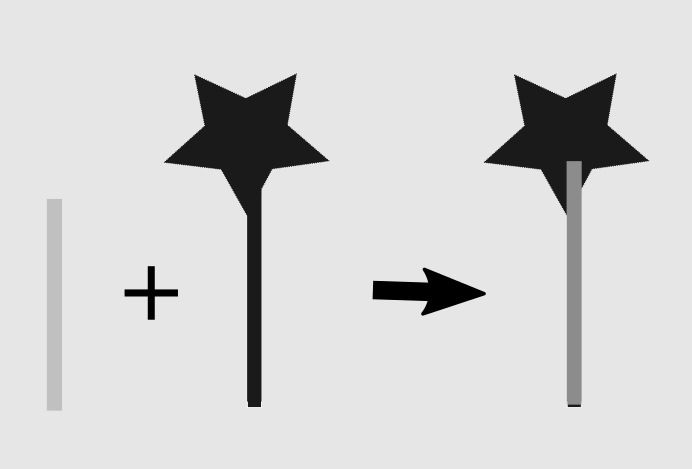 Small and simple designs such as round or square areas can be very quickly designed here: the goal is to o connect both paper electrodes using wires and/or metal tape and build a connection tail for this 2 poles component. 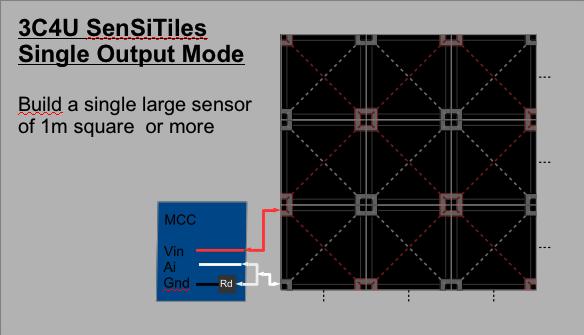 Larger and more complex designs such as large sensing tiles, long sensors or else sensors with complex shapes can profit finer circuits designs so as to provide more uniform responses along the surface. => Draw the location of your connectors or connecting tail aside from the sensitive surface. 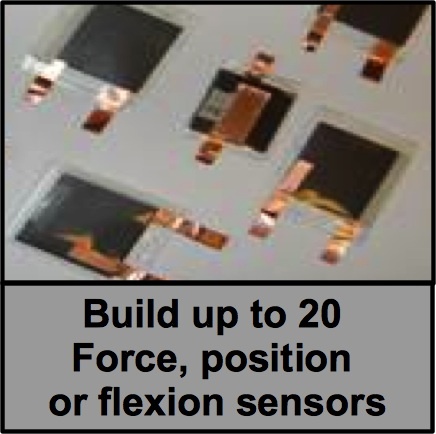 PLK fabrication Kits provide high volume resistive sheets of the order of 100 kΩ/Sq. These sheets or equivalent materials can be used here as a piezoresistive barrier. It must be placed between electrodes sheets so as to prevent direct contact between the electrodes. It provides uniform response over the surface when used with electrodes sheet. For sensors of the size of the thumb or below, this layer can be replaced by an insulating spacer made of simple cardboard. 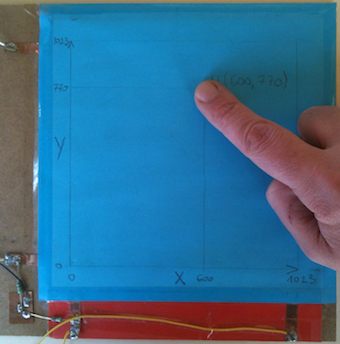 => Use your design to cut a piece of resistive sheet of the size of the sensitive area. PLK fabrication Kits provide low volume resistive sheets of the order of 1kΩ/Sq to be used here as Electrodes layers when used with a high resistive barrier. It must sandwich the resistive barrier so as to prevent direct contact between each other. => Use your design to cut 2 pieces of Electrode sheets of the size of the sensitive area. 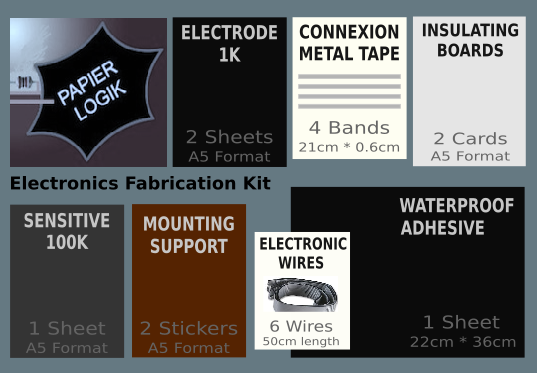 PLK fabrication Kits provide tin-plated copper tape with conductive adhesive to generate connectors onto the electrodes sheet and generate thin internal circuits towards thee components connectors. The larger or complex the sensor the more refined metal connector will be required over the Electrodes. The tape has a width of 0.6 mm which is great for the pads locations. 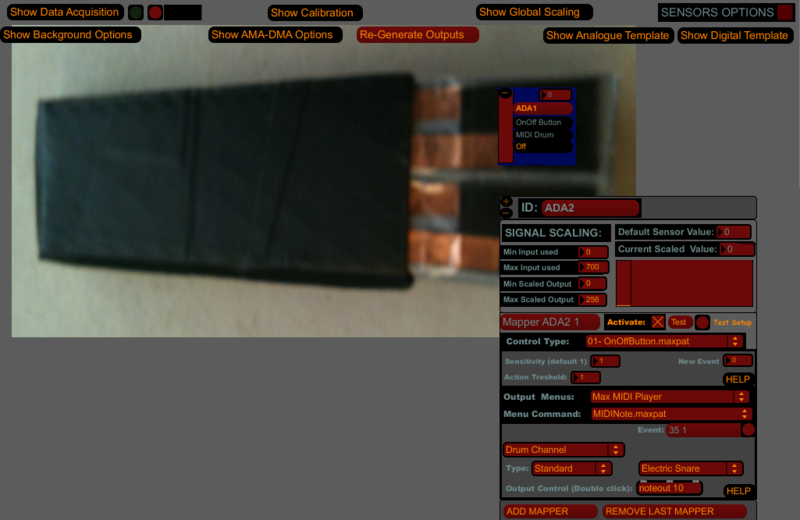 It can easily be narrowed int 2 or three bands of a few mm especially for small sensors. 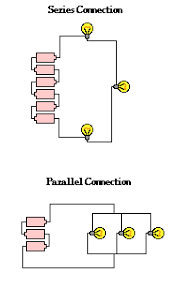 Select the most appropriate circuit design from the examples provided here. 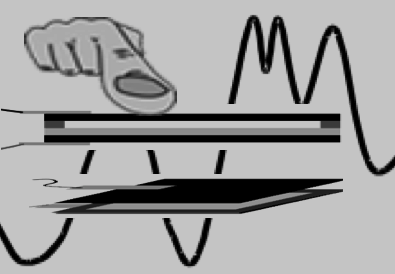 and draw this design onto your cardboard model linking each electrodes papers to a connection pad. 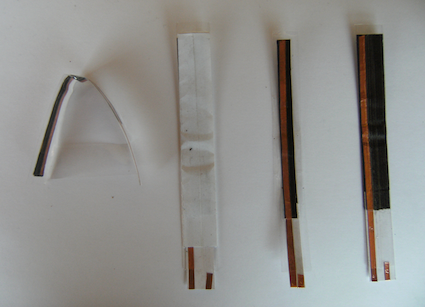 For each electrode to build Stick firmly the metaltape over the tail and area you defined over your sensitive surface. Tape or glue the electrode over the white layer of the adhesive without removing it, and fold only the white layer of the sides of you electrodes. You can now add the paper resistor layer above the areas and fold the kraft paper adhesive to fix the whole. - to enhance the sensor's rigidity and solidity to shear and small impacts. - to enhance the sensor's resistance range and maximise the default resistance value. 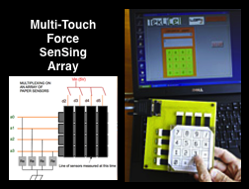 - to adapt the influence of the surface contact and the load input sensity. - to provide a support extension for the connectors. Small sensors of a few inches square such as the ones produced here may simply require a thin spacer made with a classic writing paper and a cutter. The bigger the sensor, the thicker should be the spacer with more refined designs. Connectors can be made using the metal tape with conductive adhesive. The tape provided in the Kits is 0.6cm width and can easilly be cut into bands of 0.2 to 0.3 cm width especially for small sensors. You sensor shouLd now be useable but it is still quite fragile. However, it is better to test it and make sure it is functional prior to finish it. => Connect you sensor to an ohmmeter and make sure you can read you signal ranging above 100kOhms when no load is applied and goes down to a few ohms when pressing the sensitive surface. Check the troubleshooting pages if you have an issue. If you do not have a multimeter you can try you sensor using power cells and a leds requiring low power to work, such as the ones found in Fabrication Kits or in electronic devices for visual beedback. You will however manage to use the appropriate power and work in dark environments to observe lights variations. Check out this page to understand how to master the power of Light!. If the sensors reacts as expected, you can finalise it by reinforcing it and you can also integrate a paper resistor and a third pin to integrate the voltage divider in your sensor. 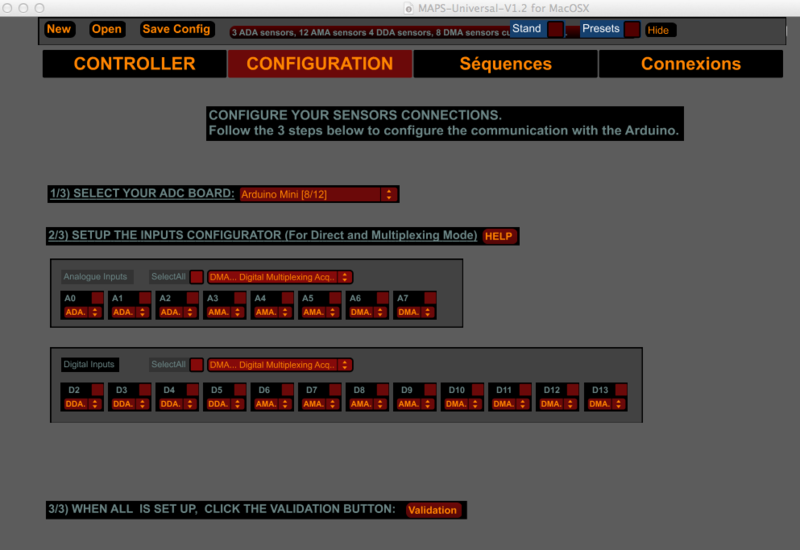 Arduino boards and equivalent solutions are widely available to use your sensors with your computer or your phone. 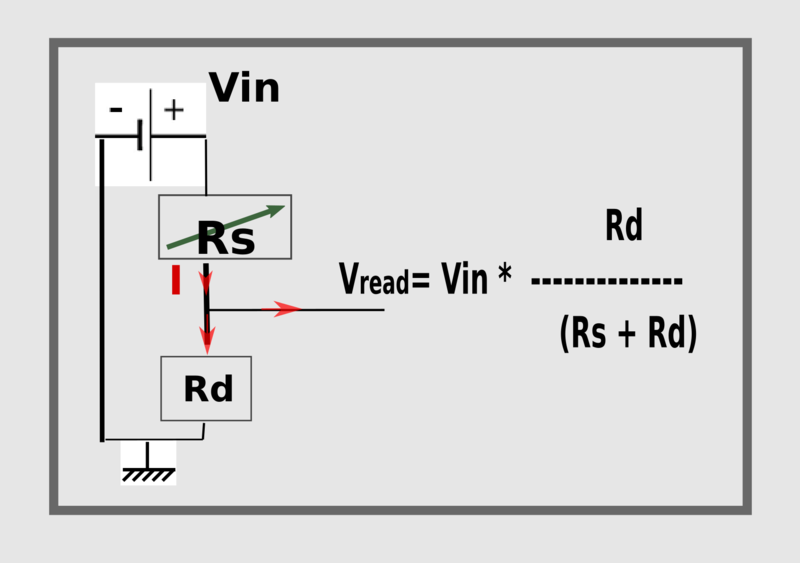 However, this takes a very small and simple electronic circuit and an understanding on how to connect a resistive sensor to the input/output pins of a development board. You can easily build your own voltage divider and a third connecting pad along the two curerent pins using the same materials we used for the sensor. Check this tutorial for more informations. 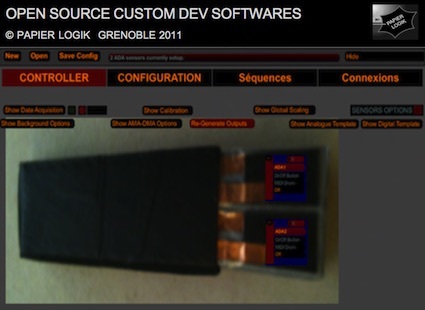 You will then use 2 or three connectors or wires to plug your sensor to you development board as detailled in this implementation pages, depending on the number of sensors and the board you have. Depending on how and where you will use you sensor, you must protect more or less its paper layers from shear, friction and moisture. If the sensor is already to be enclosed inside another element that will protect it from all of this, you may skip this step. If you plan to use the sensor without any protection, you should cover it with the thermoplastic adhesive provided in the kit using the same strategy you used for the paper kraft adhesive. Connectors are usually the most fragile part of the sensor and should carefully be reinforced and not submitted to any mechanical stress. Most durable connections are done with efficient soldering strategies, but mechanical connectors can also provide long-lasting solution in safe and clean environnements. thermoplastic glues can also be used as a final touch to insulate connectors from air and prevent oxydations and short-cuts or noises in the signal. 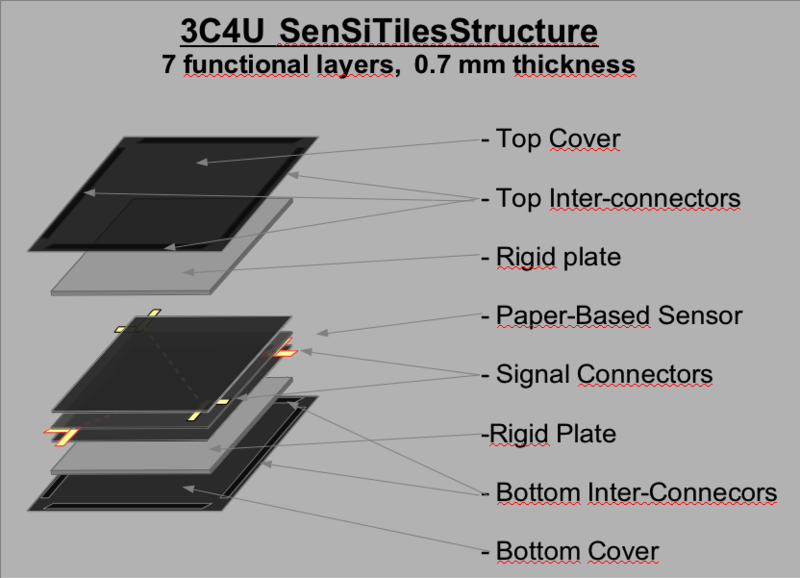 Paper FSRs have been used as detection, control or measurement sensors button in any addapted low power electronic circuits as described with the few examples below. These concepts have been explore to build hundred of prototypes in the fields of embedded systems such as augmented or connected objects and Human Computer Interfaces such as Video Game controllers, House automation systems or laboratory work benches. Building your own electronic device will take you to understand a bit of programming if you want to have a customisable set of tools to reinvent your technologies. 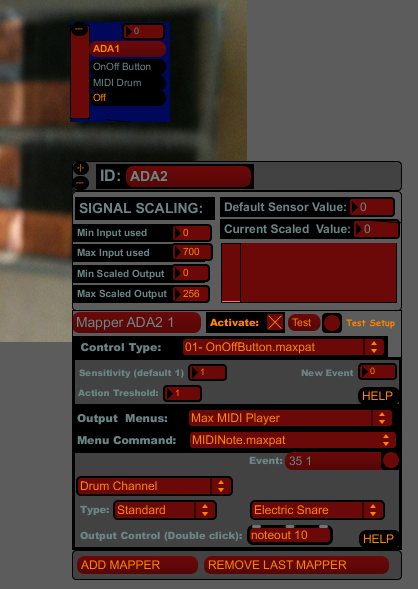 It starts with being able to master the signal coming out of you sensor and adequately use it to monitor event, collect and analyse or measure data, and generate events that can be transmitted to other computers and software to generate sounds, images or any other virtual, electrified or robotised event. Many open source projects, among which the Arduino softwares, simple basics or else Scratch and App Inventor are great and accessible resources to discover and learn with fun and results the world of programming. Follow this tutorial if you are ready to optimise the use your sensors with computers and Arduinos. 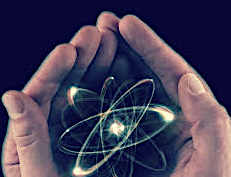 Once you know how to read sensors signals and you are able to extract useable information from it, such as a signal increase due to a touch event, you can turn this event into anything that a computer will be able to carry on, such as controlling sounds, visual feedbacks or talking to other connected objects and environment such as smart TV homes or Cars! 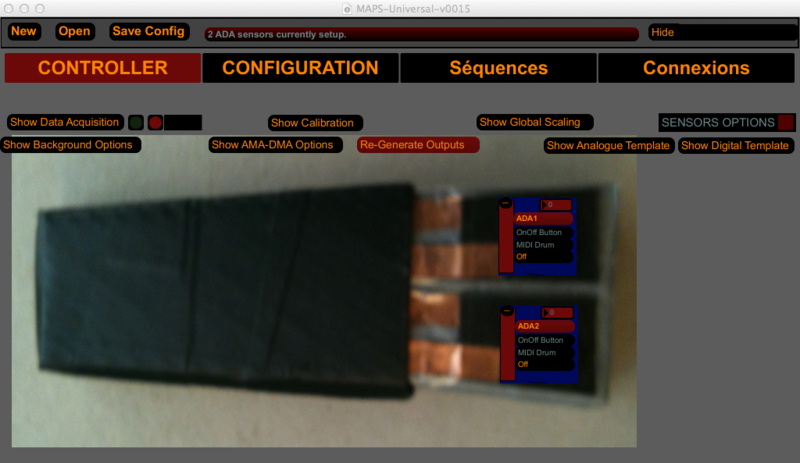 This is called mapping and it takes each time to build up softwares to control other hardware events. . Check out the following examples that make you of Paper FSRs for various applications. 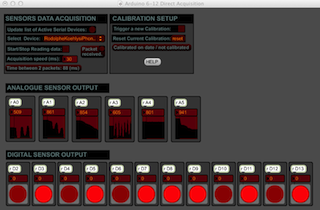 You may find there each time new Hardware Development Tips & Tricks as well as a few custom softwares based on Max/MSP for each prototype.